If you ride your bike in NYC, you need all the help you can get. 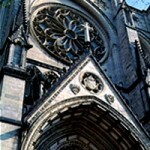 Saturday is the Fifth Annual Blessing of the Bikes at the Cathedral of St. John the Divine. 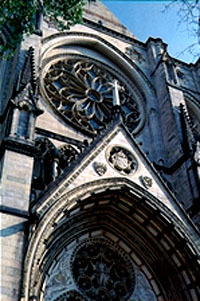 Cathedral of St. John the Divine – 112th St. and Amsterdam Ave. A free non-denominational event for cyclists to celebrate the upcoming cycling season. Wear cycling clothes and bring your bike inside. Please note that this is a very short event, so don’t be late!